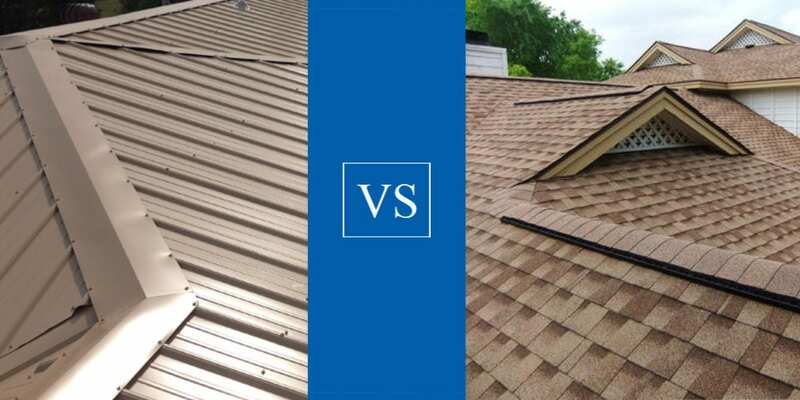 Metal Roofing vs Shingle Roofing: Which Should You Choose? Close to 80% of the residential homes in the US have an asphalt roof. That’s 4 out of every 5 houses. Yet, what most consumers don’t realize is that asphalt roofing is not their only choice. Sure, it’s the most widely used roofing material, but that doesn’t mean that it’s the best choice. Your home’s roof is the most important feature of your home. Yet few people think much about it until there’s a tropical storm. Read on to learn about the pros and cons of asphalt and metal roofing so you can make an informed decision. Whenever you consider cost, you need to also consider the lifespan of that building material. Often, the cheapest option is not the most economical because of how often it needs to be repaired or replaced. Shingle roof cost is one of the most affordable roofing materials. On average, it costs anywhere from $350-$900 per square. You can usually get 10-20 years of use out of a shingle roof, and sometimes as long as 30 years when installed well. On the flip side, metal roofing is one of the most expensive roofing options. You can expect to pay $700-$1500 per square depending on if you choose vertical seam or stamped panel. Yet, metal roofing lasts anywhere from 20 to 50 years. 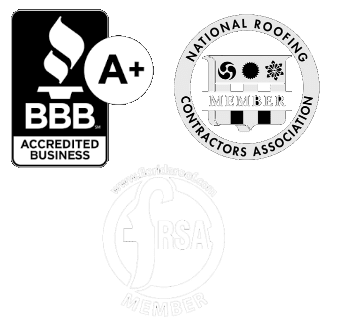 Often the biggest factors impacting the longevity of your roof are (1) the workmanship and how well it is installed, and (2) environmental factors such as proximity to salt air common in tropical areas and overhanging trees. Now let’s take a look at the specific pros and cons to both shingle and metal roofing. Shingle roofing is a lower upfront cost. Also, this roofing material is easier to install and replace. This cuts down on labor cost. One of the biggest advantages is that shingles come prepacked and ready to be installed. They are also readily available from many retailers. Because of how easy installation is, contractors who work with shingles are easier to find. This also means that repairs are much easier than with other roof types. Living along the coast means that your area is prone to hurricanes and high winds. If a few shingles are damaged in a storm, they can easily be swapped out for new ones. When contractors are installing a shingle roof, they can walk around on the shingles without risk of damage to the roofing materials. Compared to metal roofing, shingles have a short lifespan. So even though the cost upfront is less, over the long term, shingles usually cost more than metal roofing. Shingle roofs come in a small variety of dark, dull colors. They are also heavy and add extra weight onto your roof that could cause problems over time. Shingles are made from asphalt which is a combustible form of petroleum. though modern shingles have a fire-resistant coating, shingles could catch on fire or combust. You might be surprised to know that shingles can be recycled, often into asphalt roads. Yet, 11 million tons of shingles end up in our landfills each year. Ask your roofing contractor if he or she plans to recycle the old asphalt roofing. During severe weather in Florida, shingles are easily damaged. So while shingle replacement is simple, it is also commonly necessary. Shingle roofing retains heat which makes it more expensive to cool your Florida home. Shingles also become damaged when they are exposed to high heat over time, which in Florida is a guarantee. Metal roofing comes in various colors and styles. They are lightweight, durable and can be made to fit the style of any home. Best of all, metal roofs are built to last. In fact, one metal roof can outlast 3 sets of shingle roofs. So though there is a higher upfront cost, over the long run, metal roofing is usually more economical. If you plan to install solar panels on your roof at any point, having a metal roof is your best bet. It can be costly to take down solar panels in order to replace the shingled roof and re-install the solar panels. Plus, there is a chance that your solar panels become damaged in the process. Installing metal roofing is more labor-intensive than installing asphalt shingles. It requires precise installation without room for error. As a result, the time and labor cost will be higher compared to asphalt shingles. You will need to check with your municipality before choosing to have a metal roof installed. Some Home Owners Associations that do not allow metal roofing to be installed within its jurisdiction. Depending on the type of metal you use, these roofs can radiate more heat into your attic, resulting in higher cooling costs. Metal roofing can have either positive or negative effects on your home insurance premiums. Some insurance companies see metal roofing as more durable and so reduce your premium. Others feel that the extra cost of the roof means that it would be more expensive to repair and so raise your premiums. Talk to your insurance provider to determine the insurance implications of a metal roof on your home. 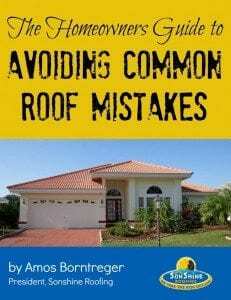 We hope this guide to asphalt and metal roofing has given you some food for thought. At the end of the day, your decision depends on how long you plan to be in your home and whether you value long-term or short-term savings. Next, check out these 5 essential tips for hiring the best roofing company in your area.